Customers flock from far and wide to sample Keswick food man Mike Clark’s tasty specialities. 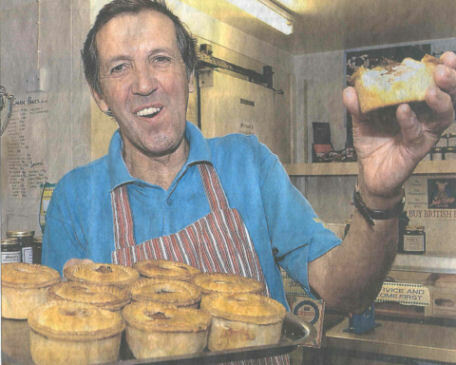 But after 47 years in the catering trade, and having worked on the continent to sharpen up his skills, Keswick’s award winning pie man is retiring at the end of the month. Mike’s butcher’s business in Station Street is being taken over by West Cumbrian Steve Willis who already has Food to go shops In Cockermouth and Seascale. Mike, who has never missed a day’s work, admits he’s sorry that his regulars will miss out on their game pies and other mouth watering treats. But he said: ‘Now seems the right time to draw the line. I’m 64 and want to spend a bit more time on my country pursuits and golf “It’s been hard work, but it’s also been fun.” Michael’s has been a family run business. One of his twin sons, Steve, has worked in the shop since it opened in 1984 and he is now planning to continue in the food trade with Deer and Dexter of Pennth. Steve’s twin Andy works in the shop on Saturdays, and Sister Louisa and Brother Roger have also done their stints. Mike Clark was born in Baggrow and, after attending Blennerhasset School and Nelson Tomlinson School in Wigton, he started work in 1959 at the Queens Hotel in Keswick, then one of three local hotels owned by Lake District Hotels Ltd.
Sir Percy Hope was director of the company and Nell Hunter was manager at the Queens when Mike first went there as a commis chef. He did three years’ training at Carlisle College and, with the Queens closing for the winters, he was transferred on to the Royal Oak which was busy all year round. There he worked under Chef John Shaw’s guidance before doing a season at the Gleneagles Hotel in Scotland. “Everything was cooked on steam and coal. You had to wear clogs, otherwise you would get your feet burned,” he said. In 1965, Mike went to Germany for seven months and then found himself and pal Bob Wallace spinning a coin to decide where they were heading next. It was a choice between Switzerland and Sweden and Switzerland won. Mike remembers how the pair just had enough money to afford a four day stay at the posh Intercontinental Hotel in Lausanne. “We lived like kings. 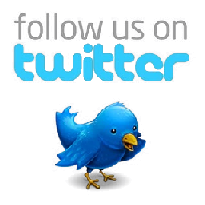 Then, when the money ran out, we asked for an interview with the chef,” he said. Mike worked In a private hotel for two and a half years where the chef “taught me every trick in the book”. He was head chef for Trust House Forte at Keswick’s Royal Oak and spent five years at the George before being involved in the opening of a restaurant in St John Street. He also did five years as head chef at the Derwent water in Portinscale and later became tenant of the Swinside Inn, which taught him about the business side of his job. The move to his own business came about when he went skiing in Switzerland with his children and walked into a local butcher’s shop. He went back the next day to do a day’s work there and that made up his mind that, once he got home, he would like to run a similar business. Initially, he opened a shop at the rear of St John Street before buying the Station Street shop from Bakewells of Penrith who had run it as an electrical business. “Starting off a shop was a bit of a challenge, but the idea took off and when I needed somewhere bigger this place came up and it was perfect,” he said. Two years ago, Mike and son Steve won a top award from the Pork Pie Appreciation Society for their 100-year old recipe handed down from one time Keswick butcher Tommy Myers. Since patrons discovered t	hat Mike was closing his business they have been stocking up.